The Blade Skating Treadmill is not your average treadmill. Located on the fourth floor of the Mattamy Athletic Centre, the treadmill stretches 12 feet wide by six feet long and is made up of individual plastic segments, or slats, coated with a silicone lubricant to replicate actual ice. With a top speed of 20 m.p.h., it’s much louder and faster than a typical home treadmill, which operates at top speeds of just over 10 m.p.h. 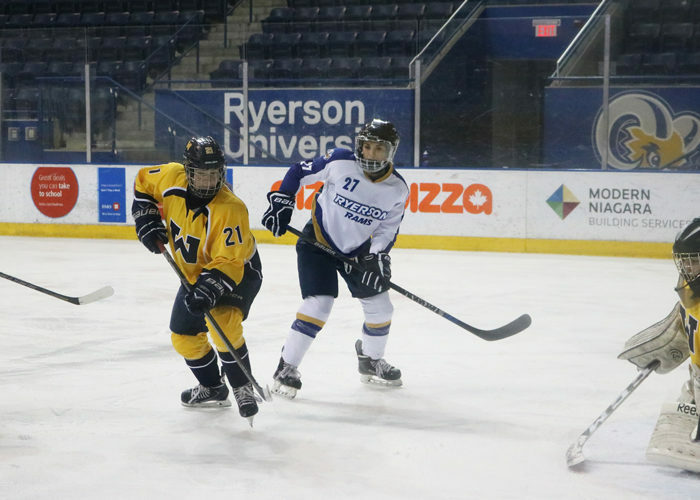 “When it really gets going it sounds like an airplane taking off,” Vanessa Stratton, Ryerson’s skate training coordinator, said. Ryerson has had the Blade Skating Treadmill since January 2013. According to Stratton, the treadmill’s programming can be catered towards any level of skater, including first-timers. The treadmill is available to the school’s hockey teams, but most of its business comes from youth hockey players across the Greater Toronto Area. In fact, Stratton says that only five to 10 per cent of the treadmill’s usage comes from Rams players. Jessica Hartwick doesn’t need much moulding. 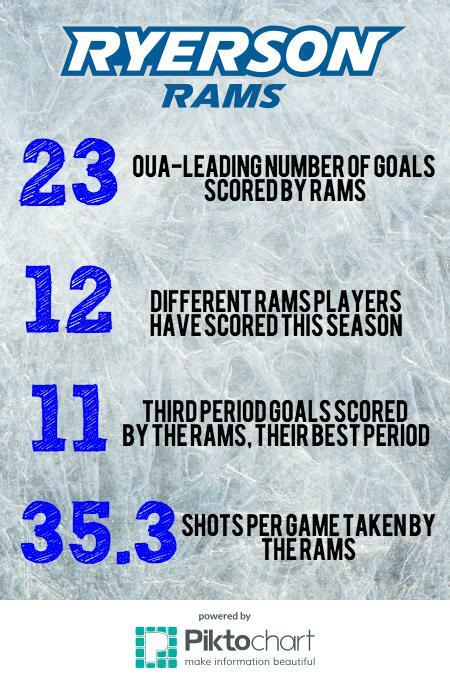 Hartwick graduated from Ryerson this spring after playing with the Rams women’s hockey team for five seasons. Hartwick was drafted by the Brampton Thunder of the Canadian Women’s Hockey League this summer, but continues to work alongside Stratton as a skate training specialist. She said that she has noticed that in recent years skating has become a bigger focus when training younger players. Stratton said that for injured players, the treadmill can be an excellent rehabilitative tool. 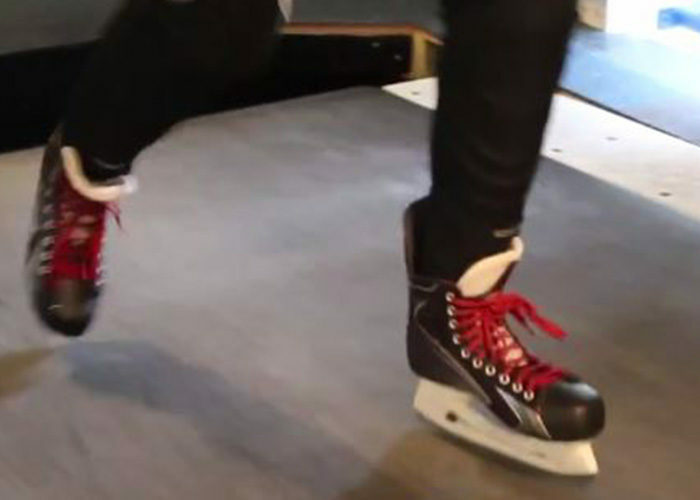 Because it’s a more controlled environment than real ice, Stratton said it is easier for skaters to get medical clearance to skate on the treadmill. Once on the treadmill, players and trainers work together to develop a resistance training program specific to the skater and their injury. Stratton says the treadmill program is still being tweaked. Though it operates on a year-long basis, she expects bookings for the treadmill to pick up with the start of the new hockey season in October. Michael is a 21-year-old student at Ryerson University in Toronto. He is going into his fourth and final year at Ryerson, majoring in journalism and doing a double minor in marketing and in public relations. Michael loves his friends and family, his iPhone, and Toronto FC.